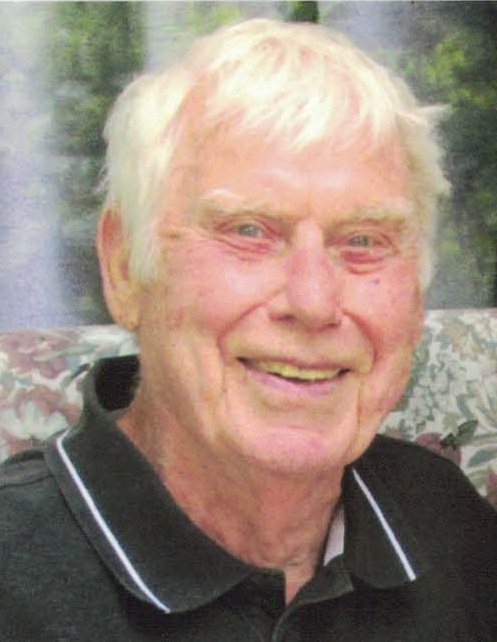 It is with deep sadness to announce that Donald K. Hartung, age 85, of Stratford, passed away peacefully at St. Mary’s Memorial Hospital on Sunday April 14th, 2019 with family by his side. Born in Stratford on September 19, 1933 to the late Edward Hartung, and the former Alice Taylor, beloved husband and best friend of 62 years Rose Marie Hartung (nee Belliveau). Proud and loving father of son Todd, wife Sue, Stratford; and daughter Tracey Hartung, best friend Glen Benjamin, Dorchester. He was adored and will be greatly missed by his grandchildren Emily, Mitchell and Alicia Hartung; Jacob and Heidi Stiller (of Dorchester). He is survived by his dear sisters Gladys and husband Jack Skinner, Darlene Plummer and George Leach (deceased). Predeceased by brothers Clarence and wife Emily, Raymond and wife Rose, Doug (Joe) and wife Barb. Predeceased by sisters Alice and husband Bob Yohn, Ada and husband Richard Bland. Don will also be missed by brother and sisters in-law; Ron and wife Liz Belliveau, Doris Gowland and husband Jack Peters, John Belliveau and wife Ann Strassler. Many nieces and nephews as well as best friend Doug Irwin and wife Joan will also miss Don deeply. Don was known for his sense of humor, we will all miss it very much. Don grew up in Stratford and was an avid athlete, playing minor hockey and Junior B hockey (Kroehler) and softball for Stratford. He went on to play Junior B hockey for the Woodstock Warriors, followed by Senior A hockey for the Woodstock Athletics. Don spent one season in Ohio with the Toledo-Marion Mercurys in the IHL before returning back to play once again for the Woodstock Athletics, and finishing his hockey career in Stratford with the Indian Senior B team. Don also played in the Stratford city fastball league for many years. His love of sports didn’t end there, as he was a devoted spectator at his grandchildren’s soccer and hockey games, rarely missing a game. Don had a long career as a licensed electrician, working for McDonald Electric, Mattel-Roberts Electric, and retiring with the Ministry of Transportation after more than twenty years of service.